Gynaecomastia is the name for excessive enlargement of the male breast. This can happen in one or both of a man's breasts. The surgery reduces the size of male breasts by removing excess fat, glandular tissue or skin. This can be for cosmetic or psychological reasons, or it can be to treat discomfort. Gynaecomastia surgery isn't for everyone with gynaecomastia. The first step if you think you may have gynaecomastia, is to go to your GP, who'll examine you and do some tests. If needed, your GP can refer you to a hormone specialist (an endocrinologist). For many men, non-surgical options – such as starting or changing medications – may be the best treatment. An endocrinologist can refer you to a plastic surgeon if they think that surgery may be an option for you. If you're overweight this can contribute to gynaecomastia, so it's best to lose weight first before any surgery. If you need help to lose weight, the resources on How to lose weight may help. Heavy use of alcohol and marijuana can cause gynaecomastia, so if you're a heavy user of either of these substances, stopping them may solve your gynaecomastia. If you need help to do this, talk to your doctor or use the resources on Alcohol and safe drinking and Alcohol & drug addiction. With younger men, surgeons may want to wait a while, as gynaecomastia can improve after adolescence. Smokers who have gynaecomastia surgery don't heal as well. 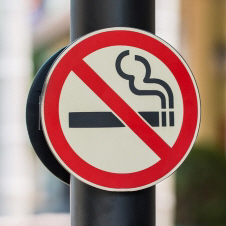 Your surgeon will strongly encourage you to stop smoking and may not be prepared to proceed until you do. If you need help to stop smoking, use the resources on How to become smokefree. It's important to have realistic expectations about what the surgery can do for you. The final result can lead to greater self-confidence, but it may not match the image of how you would like your breasts to look. Written by HealthInfo clinical advisers. Last reviewed April 2018. Last updated November 2018. Australian Society of Plastic Surgeons. Treatment of gynaecomastia – a guide for men. Edition 1, July 2004.